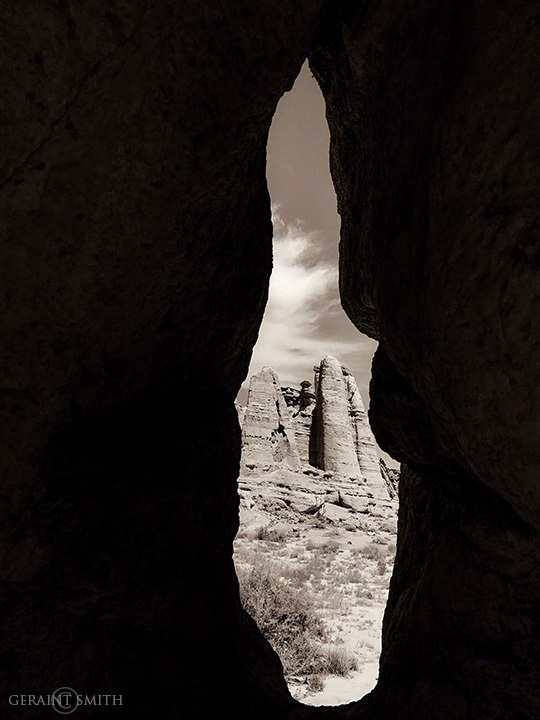 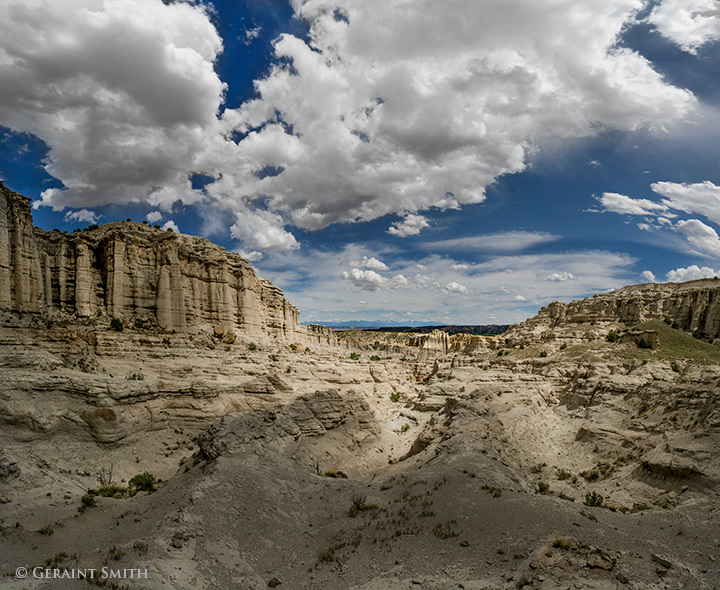 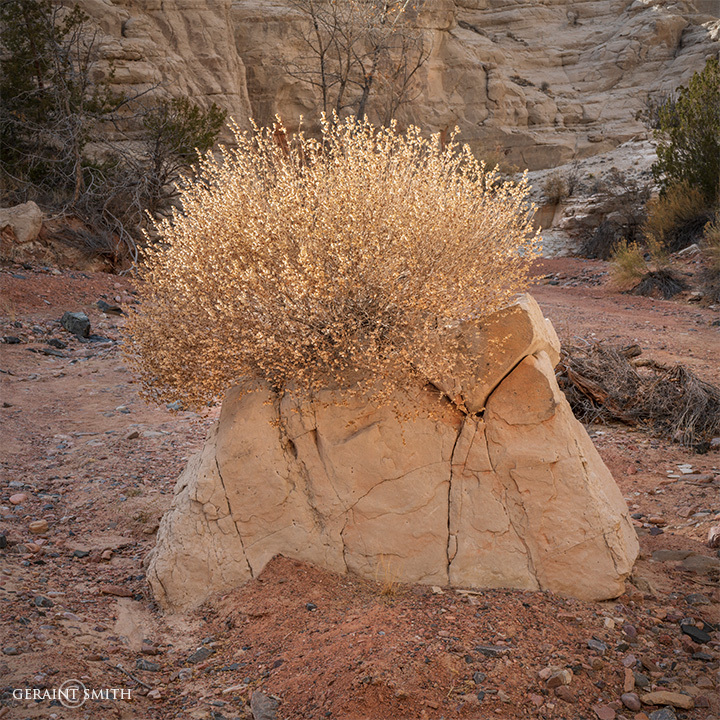 Plaza Blanca slot canyon Abiquiu, New Mexico. 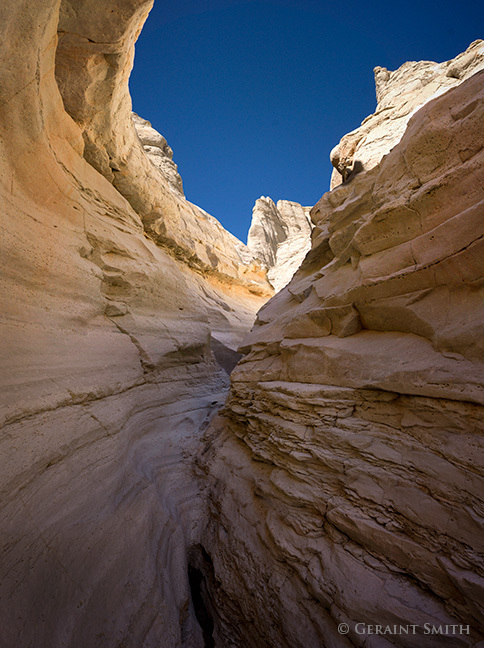 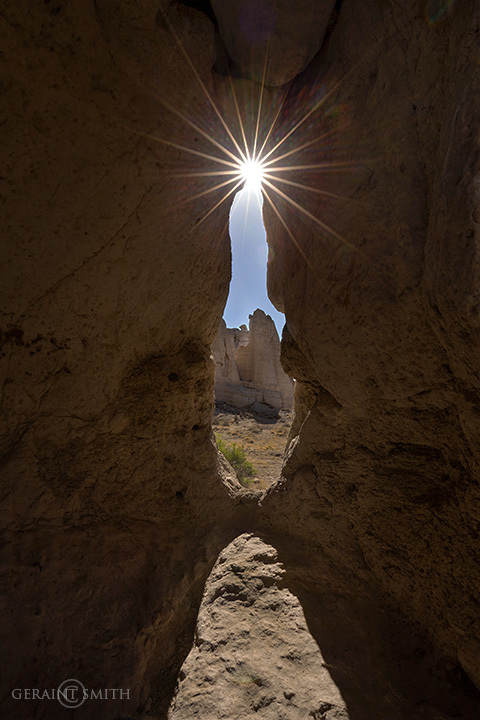 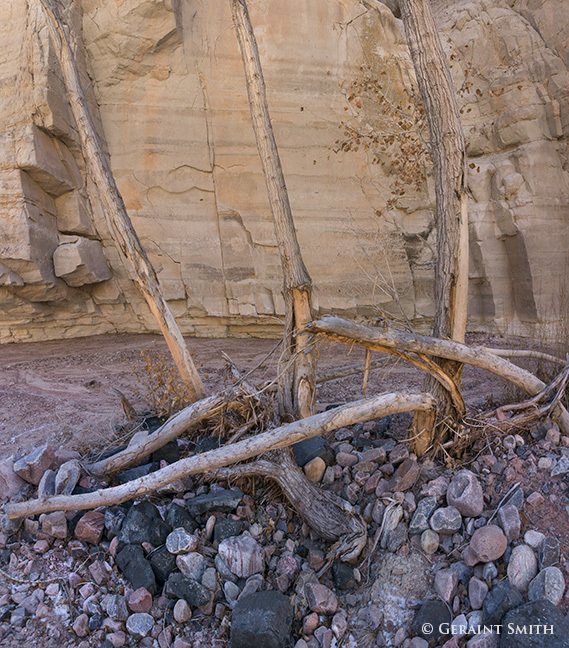 In Plaza Blanca on a warm fall day, the narrowing slot canyon walls are alternating zones of cool, noticeably moist, air and radiating warm dry air. 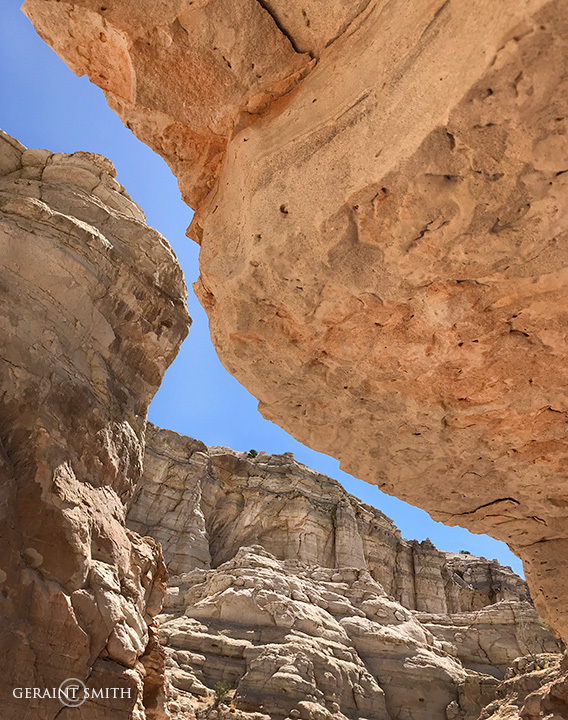 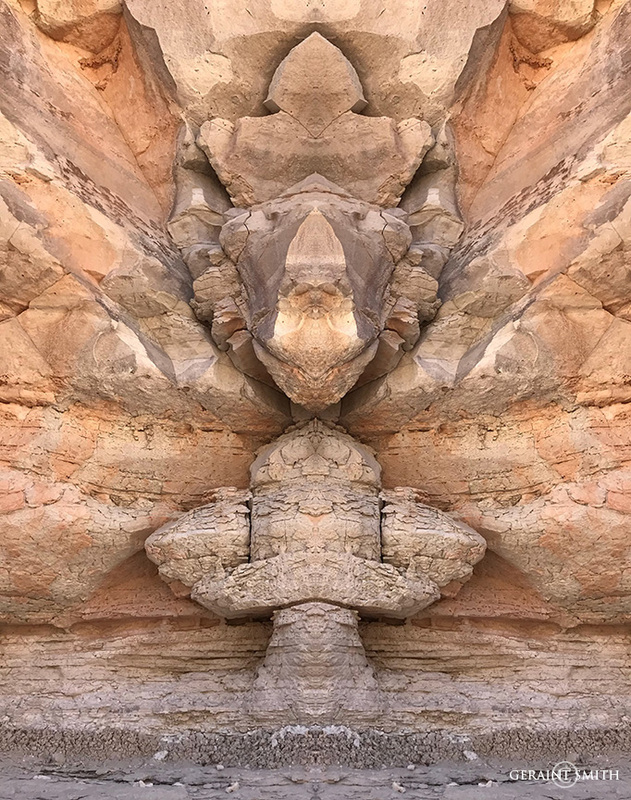 As one proceeds, the canyon closes in, the growing feeling of solitude embellishes the senses and grounds the body in the womb of the earth. 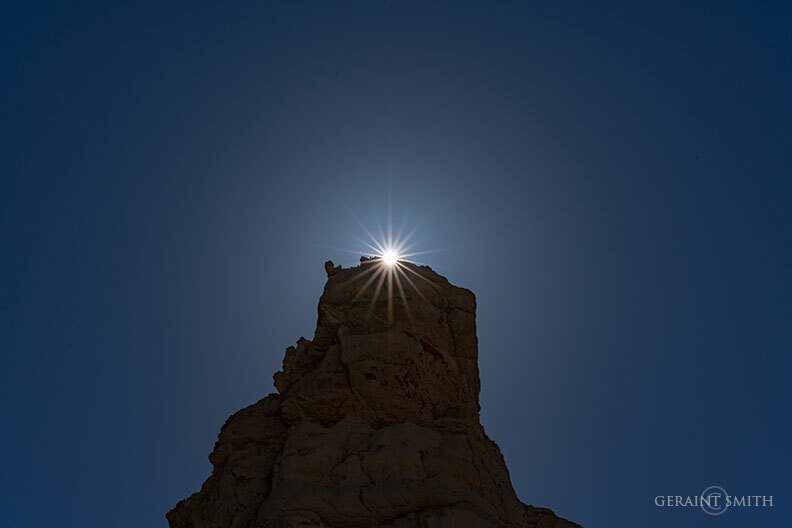 All the while, white cliffs languishing in the sun, under an intense blue sky, draws ones gaze upward.